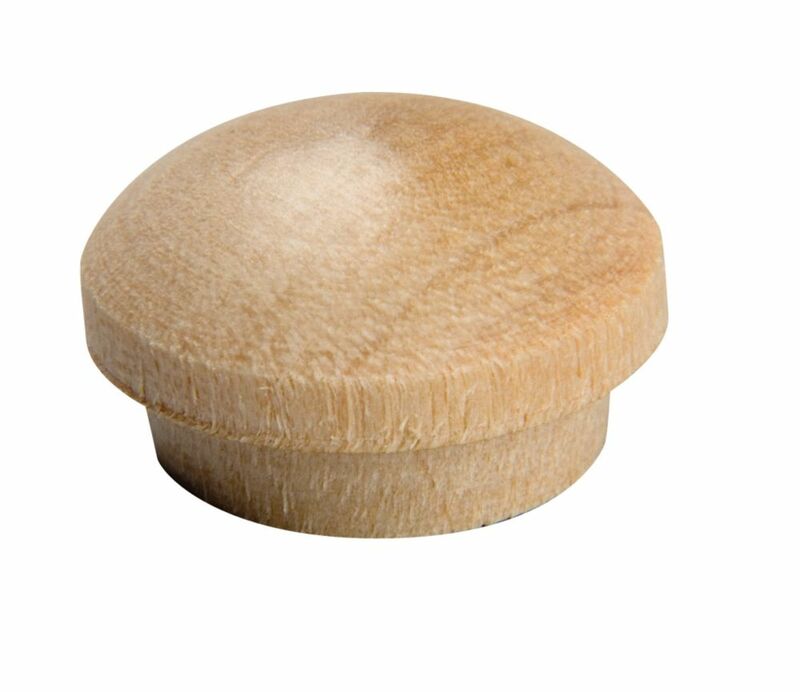 Use these mushroom plugs to cover up screw holes and give a professional and old fashion look to your wood projects. No longer do you need to spend time trying to hide the appearance of screw holes. They can be decorative accents instead. Dowels have a multitude of uses: Curtain rods, crafts, screw plugs, peg hooks, etc.. The list is endless! Dowels are available in many different diameters depending on your needs. A dowel pin is used most often for dowel joints in which 2 boards are connected with glued dowels fastening them together. This creates a high strength joint without visible screw holes. Used for creating cabinets, shelves, drawers, or any other small project. Convenient hardwood plugs used to cover up screw holes in any of your home projects. Simply apply glue, press plug into screw hole, and sand smooth when dry. Ideal for making your own coat rack or for accenting a cabinet. These shaker pegs have a multitude of uses in crafts and home dicor. Limited only by your imagination. Hardwood Mushroom Plugs 1/2 In. - 18/Bag Use these mushroom plugs to cover up screw holes and give a professional and old fashion look to your wood projects. No longer do you need to spend time trying to hide the appearance of screw holes. They can be decorative accents instead.